Logitech is back with yet another superb keyboard, and this time one that's exclusively designed with Mac and iOS users in mind. Logitech's Bluetooth Easy-Switch K811 keyboard for the Mac is the wireless twin brother, a silver and black derivative of the wonderful K810 keyboard made for Windows 8 and Android devices. Logitech is slowly but surely overtaking Apple's line of peripherals with its own Magic Trackpad and Apple Wireless Keyboard alternatives, which offer more practicality with refreshing sleek designs to boot. We've got the lowdown on the Bluetooth Easy-Switch keyboard after the cut! 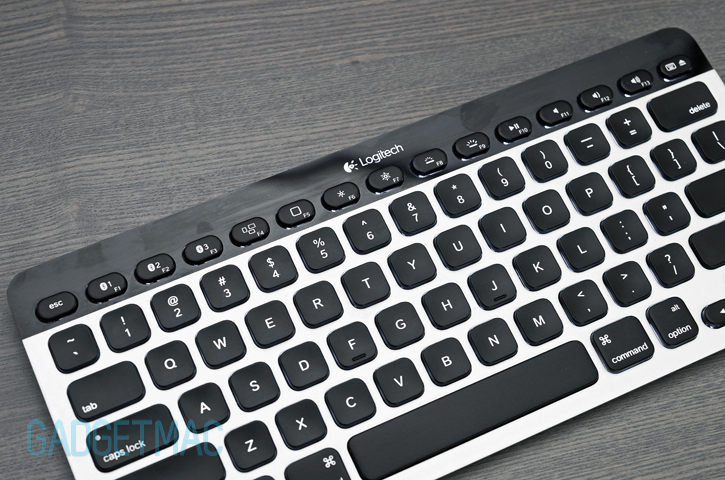 Logitech's Bluetooth Easy-Switch keyboard, or the K811 for short, is the Mac version of the K810 keyboard we've reviewed not more than a month ago. It's literally the same keyboard from the unboxing right down to the hardware and design, albeit with one or two subtle changes in appearance to fit the likes of Apple enthusiasts. It's got illuminated laser-etched keys, hand-proximity and ambient light sensors that manage and conserve battery life while auto-adjusting the keyboard's key illumination intensity and a built-in rechargeable battery that lasts for around a week with heavy use and constant backlight. On top of that, the K811 should last up to a year on a full charge if you use it without the illumination on. That's virtually unheard of from a Bluetooth keyboard. And did I fail to mention killer looks? Multi-task much? 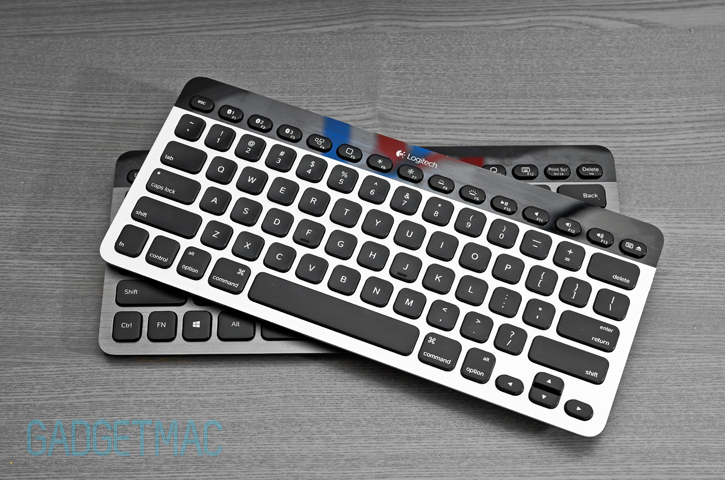 The K811 is an Easy-Switch Bluetooth keyboard, meaning that like the K810 and the K760 before it, it features three Bluetooth hot keys which can be assigned to your Mac and various iOS devices like your iPad and iPhone. As the name implies, Logitech's Easy-Switch keys let you effortlessly and nearly instantaneously switch between typing on one device and onto another. Bluetooth pairing is also quite reliable and not once have I experienced any issues with lagging, pairing or quickly switching between two paired devices using the K811. It only goes to show that Logitech can create some of the best peripherals known to man. Are you keeping track, Apple? Besides the K811's handful of advertised features like the aforementioned motion and ambient light sensors, Logitech fails to mention that there's a third touch-sensitive feature added to the aluminum surface which helps the K811 detect your moves in order to keep the backlit keys lit up until you completely lift off your fingers away from it. It's an ingeniously reliable way of fool-proofing this keyboard to both work towards being conveniently functional, and smart in saving energy. But how the K811 differs from its darker toned brother, is in its distinct Mac keyboard layout that features a top row of hot keys designed to work in unison with both OS X and iOS. Design wise, the K811 shares a familiar tone of Apple-inspired styling with a beautiful black on silver monotone color scheme and a wedge-shaped, low-profile construction. And because the K811 shares the same solid metal and glossy black plastic construction with the K810, the build quality is as excellent. Another subtle difference we noticed when using the K811 keyboard is how the green charging LED pulsates instead of rapidly blinking on the K810 model, which is to say a small detail but a much nicer one. 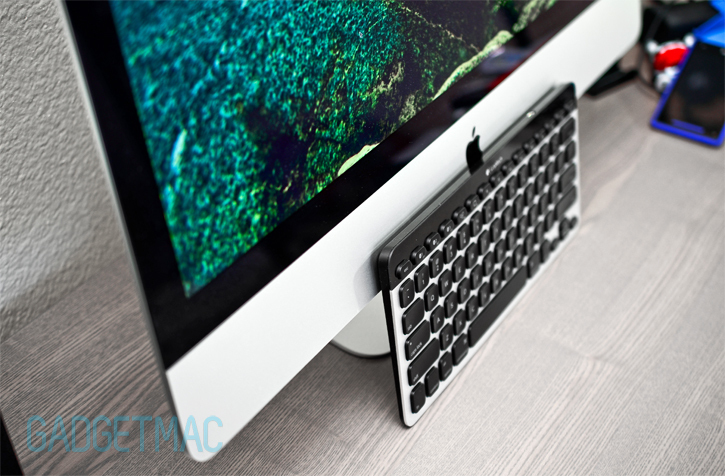 The black chiclet-style keys float on a bed of a flat aluminum surface designed to seamlessly coincide with the design language of Apple's iMac. In many ways, the K811 is like a plucked piece of the MacBook Pro and MacBook Air's illuminated keyboard design - only put in a standalone wireless keyboard. Apple should have, could have, but never to this day brought its loyal users a proper wireless keyboard like Logitech has with the K811. It really is, a brilliantly designed and functional keyboard this. It's obvious that Logitech went with a finer, uncolored aluminum sand-blasted finish with the K811 to match the Apple design flow as oppose to the darker slate, brushed aluminum finish on the K810. Both are mighty fine looking finishes nonetheless. Although the K811 differs more in design than in performance, this Mac version is just as incredibly comfortable to type on as on the K810. The PerfectStroke keys are one of the best I've had the pleasure of typing on. Much smoother and buttery in comparison to Apple's Wireless Keyboard. Although there's really nothing bad to say about this keyboard, there's a weird compatibility nuisance I think should be mentioned. Unfortunately, the K811 isn't perfect when it comes down to its "hot keys", or function keys depending on how you'd like to call them. Logitech's Easy-Switch functionality works like a charm, but trying to support multiple devices in this case both OS X and iOS while accommodating each of the device's respected hot key structure, is the K811's Achilles heel. 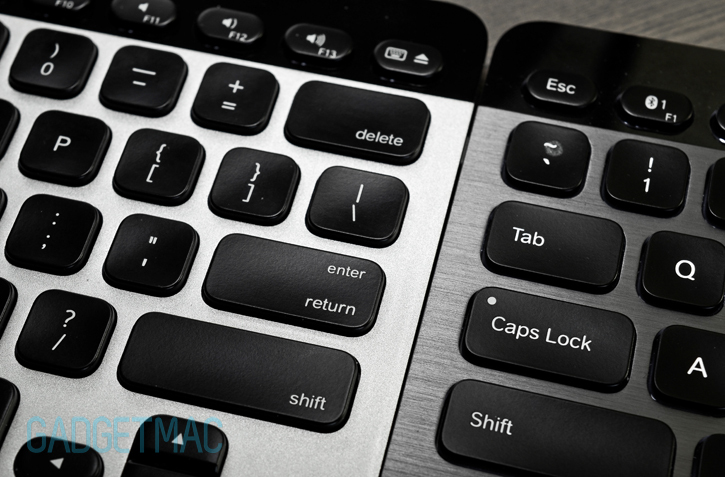 If you're on a Mac, you have access to on-screen brightness and volume controls including a drive eject button. As for music playback controls, there are play/pause and mute buttons but no skip controls due to the limited space. You'll also find dedicated Mission Control function key which strangely does not work in Mountain Lion. The same can be said when using the K811 with an iPad. Brightness keys don't function under iOS. Luckily the standard function buttons you've come to expect certainly do work with iOS like the home button which when double pressed can perform different tasks, play/pause, mute and volume buttons work as well. It's unfortunate that two important function keys, the Mission Control and brightness keys, are useless when used under either OS X and iOS. 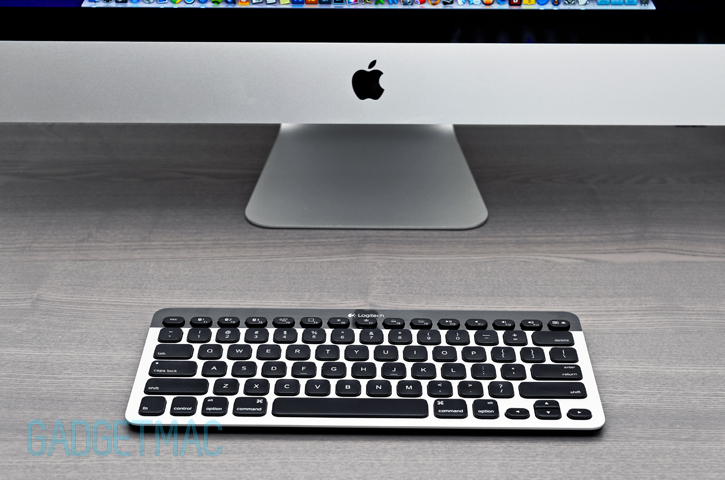 The K811 is a must-have Bluetooth keyboard if you're an iMac user. If there's one thing to say about the K811 as a whole, is that it's the definitive wireless keyboard for the Mac, and the iPad. Other than the pricy $100 price tag which is indeed justifiable based on the solid overall performance, backlit keys and a built-in rechargeable battery - Logitech's Bluetooth Easy-Switch keyboard has little to no caveats that should keep you from using it as your primary desktop, and mobile wireless Bluetooth compact keyboard. The omission of a functional Mission Control hot key leaves us scratching our heads in confusion. 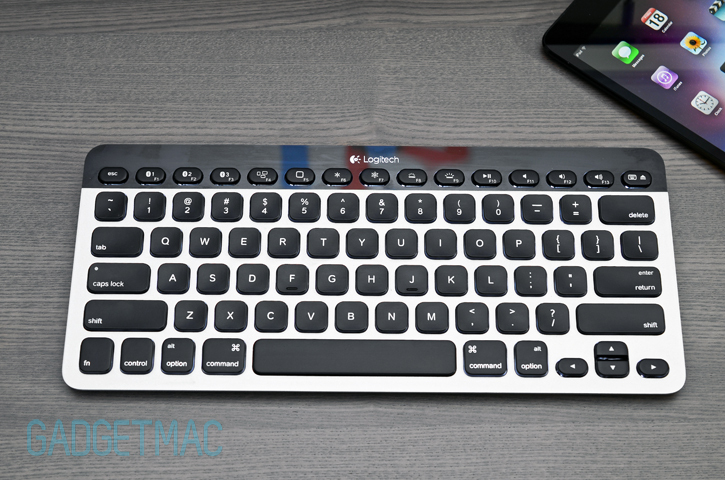 If you're well into Apple's ecosystem of aluminum-clad devices, there's absolutely no reason why you wouldn't want Logitech's Mac-inspired wireless backlit keyboard right this instant. Not only does it look great in the dark and on your desk, the K811 is our favorite illuminated Bluetooth keyboard for its crazy-comfortable typing experience, rechargeability and the fact that it's ultra-slim means that it can fit almost anywhere without being obtrusive as a portable keyboard. 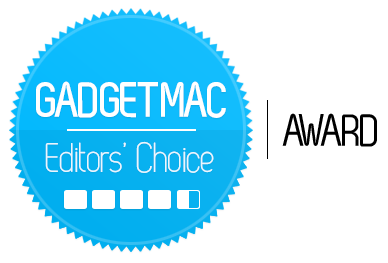 It all merits our high recommendation and Editors' Choice Award. Update: As it turns out, you'll need to download Logitech's Performance Manager app to get that Mission Control hot key working. The little piece of software will also tell you how much battery you've got left and turn the home button key into a Launchpad key amongst other options, on-screen notifications and enhancements. Aaahhh, all better now.